Cane sugar, sodium chloride, sodium citrate, potassium chloride, dextrose, flavour (coconut), acidity, regulator (malic acid), magnesium salts of citric acid, sweetener (steviol glycoside). 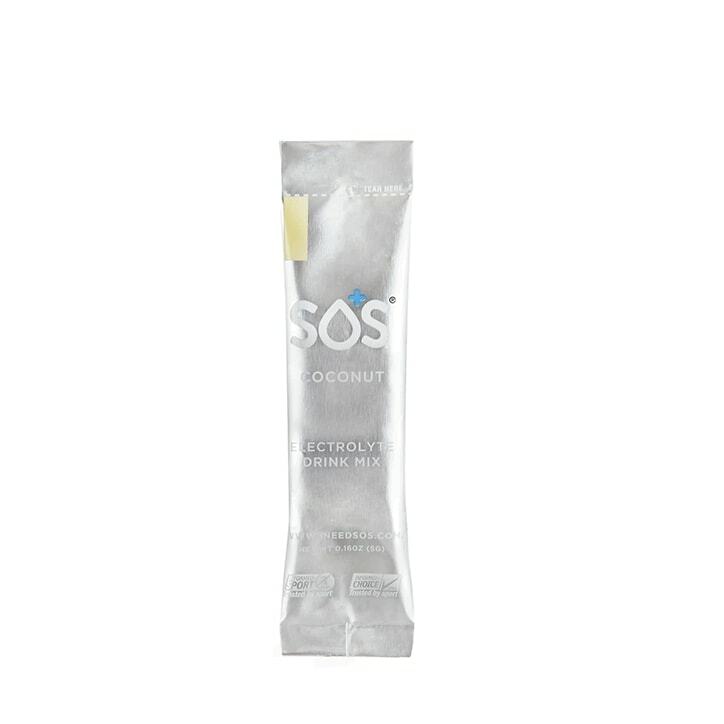 SOS Hydration Coconut is rated 4.4 out of 5 by 5. Rated 2 out of 5 by BURMESE10 from Too sweet Tried this recently but too much of a sacharine taste for me - too sweet. Rated 5 out of 5 by S Boardman from Great taste, refreshing and no added sugar Use this product regularly before and after running for hydration and recovery - would definitely recommend it! Rated 5 out of 5 by Chris OB from Excellent Hydration Product I always find SOS very gentle on my stomach, which is particularly important before long runs and races. With the high sodium content, SOS is very good at electrolyte replacement and in my opinion is the best product on the market. The coconut taste is quite strong though - great for those that love coconut!